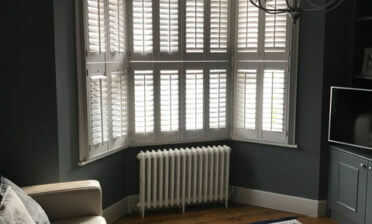 Many think of window shutters when looking to have bespoke shutters fitted to their home, but this is a great example of the many uses and versatility they have. 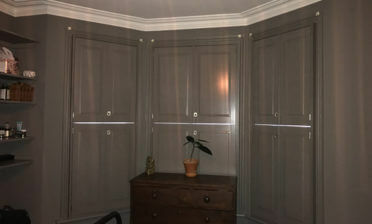 Because our shutters are made to measure we can fit them to a wide range of windows, doorways and openings. The customer of this property in West Wickham was looking for something different in the place of a standard door, which was not very attractive. 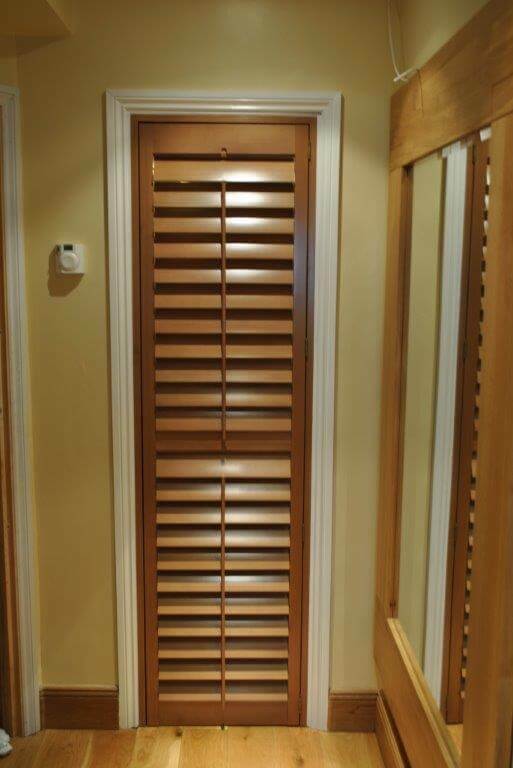 This shutter was made for the opening of a boiler room, which fits in the opening perfectly and really looks the part in this area of the property. The shutter is made from white teak finished in “Golden Oak” stain which as you can see blends very well with the existing mirror frame, doorways and skirting board. Constructed with 89mm louvres, tilt rod and antique brass hinges to finish. 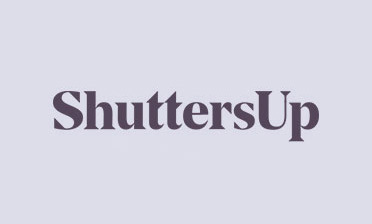 Please feel free to contact us if you are thinking about having some shutters fitted to an unusual area or opening in the home. We have designed and installed for all types of locations and would love to give you a no obligation quote!